Rep. Alexandria Ocasio-Cortez (D-N.Y.) issued a call for donations from her supporters on Thursday following a pro-Israel activist’s apparent threat to organize against her and two fellow Democrats. In an email to supporters who funded her successful congressional bid with a wave of small-dollar donations, Ocasio-Cortez conveyed a line from an interview that American Israel Public Affairs Committee (AIPAC) activist Stephen Fiske gave to The New York Times in which Fiske predicted that Ocasio-Cortez, as well as Reps. Ilhan Omar (D-Minn.) and Rashida Tlaib (D-Mich.), would be leaving Congress sooner rather than later. “They are three people who, in my opinion, will not be around in several years,” Fiske told the Times. 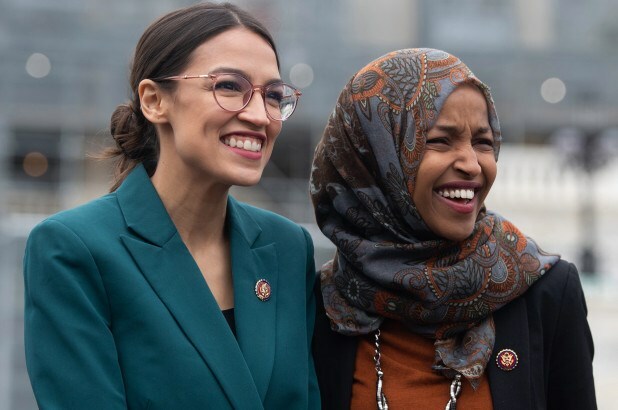 The line was seen by Ocasio-Cortez and others as a direct threat aimed at her and the first two Muslim women elected to Congress over their criticism of the Israeli government and its treatment of Palestinians. “Rashida, Ilhan, and Alexandria have at times dared to question our foreign policy, and the influence of money in our political system. And now, lobbying groups across the board are working to punish them for it,” her team wrote in an email. The letter goes on to reference a tweet from fellow Democratic Rep. Juan Vargas (Calif.), who tweeted this week that it was “unacceptable” for Democrats to question the U.S. relationship with Israel. “Some members of Congress have even gone so far as to claim that ‘questioning support for the US-Israel relationship is unacceptable.’ But that’s not how our legislative process is supposed to work,” Ocasio-Cortez’s fundraising request states. “Just a decade ago, it was ‘unquestionable’ to not support the war in Iraq. And we all saw what resulted from that lack of discussion and negotiation,” the email continues. Ocasio-Cortez defeated longtime New York Rep. Joseph Crowley (D) in a primary election last year in a shocking double-digit victory that led to her coasting to victory over a Republican opponent in November.